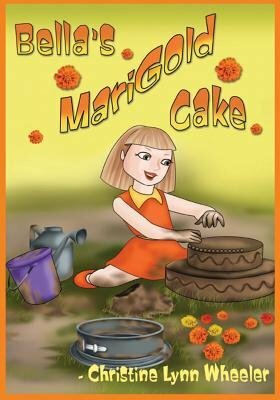 Bella's Marigold Cake is a story that you will treasure and read to your children over and over again. Are there lessons you'd like your children to learn about love, compassion and the ability to forgive? Author Christine Wheeler has woven a special story about a little girl who creates something beautiful and learns her first lesson about forgiveness and compassion. Bella is a beautiful child. She spends hours in her sandbox creating all kinds of wonders. One fine morning Bella creates her best ever-a sand cake decorated with her mother's favorite flowers, bright marigolds. Along comes Eleanora, a bit of a troublemaker and a friend who Bella doesn't always trust. What happens next will teach both little girls about random and simple acts of kindness. Wheeler writes with clarity and an astonishing insight about the way children perceive situations and how they react to them. She has combined the whimsy of Dr. Seuss and the intelligence of J.K. Rowling to create her delightful characters-heartfelt and real. Her book will be one that you'll keep as a permanent part of your children's library-it's about understanding, compassion and kindness. Christine Wheeler is currently working on her next children's book. Ms. Wheeler lives in Lawrence, Kansas near her three children. Bella's Marigold Cake is her first book.